Contractor 20/20 has a creative team of qualified professionals who get our clients the top-quality exposure they want across any number of multimedia platforms. As technology has advanced, Contractor 20/20 has expanded and added new talent so that we can continue to promote your HVAC business across avenues that consistently grab the attention of your customer base. Not only will our HVAC marketing services enhance your business’s visibility, but they’ll also increase your overall reputation and positive word-of-mouth advertising. Adding your own personal touch to your company name and identity means a lot to the customer, and it will inevitably affect their buying decisions. What better way to express your HVAC company’s uniqueness than through a professional TV or radio ad? At Contractor 20/20, we will research and analyze your best target audience and identify the best times, methods, and messages needed to reach them. We talk to radio and TV stations and analyze large-scale response for each commercial—all so that we can reach the most valuable members of your target audience. We also work with you to create an original script for your HVAC TV or radio advertisement. Your commercials will always convey the information that you want, how you want it. Contractor 20/20 has found success generating new HVAC business, obtaining promising leads, and driving consumer awareness with this HVAC marketing strategy. You will immediately benefit from our in-depth legwork. We’ve done research and analysis on all the most successful methods of advertising and marketing for HVAC contractors. There are so many methods to choose from in HVAC marketing, and it’s best to explore all opportunities that effectively reach your current customers and prospective clients. Direct mail marketing is a more traditional method but remains an invaluable HVAC marketing resource. It keeps your existing clientele in the loop and informs potential customers about your current promotions, products, and services. A newsletter campaign is one of the most effective HVAC marketing tools provided by Contractor 20/20. It consists of an automated system that sends your customers entertaining content about your company’s heating and AC services, greatly encouraging sales. Contractor 20/20 produces top-quality content for your HVAC newsletters, and in doing so, keeps your current customers updated and your future customers interested. We implement HVAC marketing strategies that cover all the bases. Whether it’s email promotion through directory listings, search engine optimization, pay-per-click ads, or specialized web development, let Contractor 20/20 craft your entire HVAC internet marketing campaign. With a completely optimized HVAC website, your customers will access interesting information and useful resources. 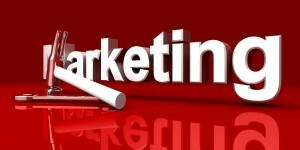 Why wait to get real, beneficial marketing results? Contractor 20/20 provides all these services and more! Call us at (607) 770-8933 to increase your online visibility, name brand recognition, and build your successful HVAC marketing operation today.